wooden painted big tribal mask. Hand crafted by skilled workers. 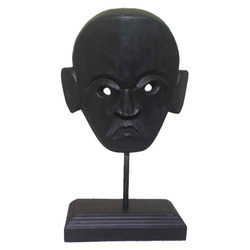 Being a quality oriented organization, we are indulged in providing supreme quality range of Decorative Wooden Mask. With the valuable assistance of skilled team of professionals, we are engaged in offering an extensive range of high quality Tibetan Wooden Masks. 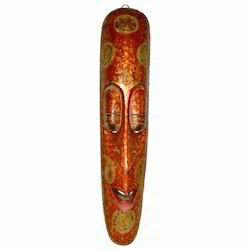 We bring forth vast industrial experience and expertise in this business, involved in offering high quality range of Decorative Face Mask[Cheriyal Sawdust Mask - Ganesha].